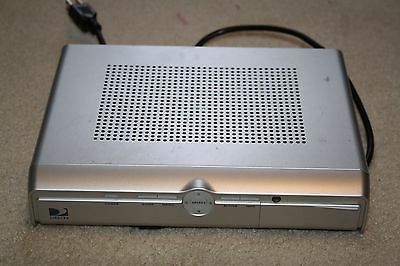 If your DIRECTV box looks like this, it’s time for you to think about a change. DIRECTV’s standard definition service will be ending in 2019, which isn’t that far away. When that happens, ALL standard definition service and ALL standard definition equipment will be obsolete. You won’t be able to watch anything, period. A lot of folks have upgraded to HD service already since it was first rolled out in 2004, and when you think about it, 15 years is a pretty good amount of lead time. If you think about it, it’s pretty clear that the time was going to come when you’d have to upgrade. Don’t let it worry you, though; if you’re a current DIRECTV customer there are already special programs in place to help you upgrade to the latest and greatest. Think about it — you can make the jump from SD straight to 4K if you want, and experience 16 times better quality from your television viewing! As the date gets closer, you’ll probably hear about upgrades from a number of places and DIRECTV will probably have some deals of their own. But of course, you’ll be one of a few million people who will all need to upgrade at the same time… are you willing to risk that? Imagine how backed up DIRECTV’s technicians will be. How long will you have to wait for your upgrade? That’s why you want to call us at Signal Connect now. Our upgrade programs are ready NOW and we can get you the equipment you need. We have stocks of DIRECTV hardware available to you at a vastly reduced price (sometimes even free) and we can arrange for installation too! We’re DIRECTV dealers and we can offer you the exact same service that you’ll get from calling DIRECTV, with the addition of a personal touch and expertise you can’t get anywhere else. The only way to get special treatment is to call. We can’t offer these upgrades online, unfortunately. So, give our team of experts a call at 866.726.4182 and take your first step into the next generation of DIRECTV entertainment!